The Bronx is an area that certainly needs security. Just like all other areas of New York City, there are plenty of people roaming around ready with tools to break into houses, businesses, storage spaces, sheds and cars. Hulk Security Systems has a wide variety of security products and services that will help make a major difference. Often, businesses get robbed because they carry cash in the registers and the safe, but they also have valuable merchandise. Bars on the windows and doors may be a deterrent, but burglars still make their way in. If a break-in does occur, there may be an alarm or there may not be. Some business owners are simply resigned to the fact that this is going to happen and they pay the insurance premiums for it. More naïve business owners think that the police will somehow drive by at the moment of a break in and they believe that they don’t need security systems for Bronx. 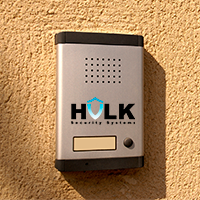 Hulk Security Systems has a wide assortment of alarms that they will place in various locations of the building. Some are silent and others are not. The advantage of a silent alarm is that the criminals don’t know that the police are on the way. Loud alarms attract attention and also scare the criminals so that they leave before they have a chance to steal very much. Sophisticated alarm systems are security products that can help business like this to keep criminals away. If nearby stores do the same, eventually the whole neighborhood becomes notorious to would-be robbers and they will leave the place alone. Contact us for a free estimate with no obligations and discuss solutions to protect your business investment in your hometown, the Bronx, NY.